At first glance, two of my DPR Group clients couldn’t seem more dissimilar. One, QuestaWeb, is a software provider and the other, Chapman Cubine Adams + Hussey (CCAH), a direct marketing agency. In representing them, I’ve learned much about global trade and nonprofit marketing techniques across a variety of channels. I never envisioned a scenario where these two business worlds would intersect until I took a call from QuestaWeb in late April 2015. The CEO and COO had an uncharacteristic PR request: they wanted to raise charitable funds. The COO’s wife had been diagnosed with pancreatic cancer and he wanted to turn a negative into a positive. 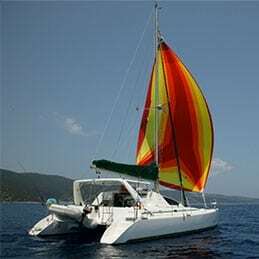 He and the CEO had conceived of a unique event to bring interest to the cause: the CEO would sail from Greece to the United States aboard a 38’ catamaran. Oh, and by the way, the CEO would be setting sail on May 6, about 9 days away. My mind started to race: How could I tie the two events together? How would I spread the word to potential donors? How would the monies be collected? Most important of all, How could the account team pull off this request successfully in such a short time? Timing dictated a digital strategy, so we quickly developed a Facebook page and YouTube channel and readied the existing LinkedIn and Twitter accounts for use. A satellite communicator provided a vehicle for the crew to send messages, as well as give the PR team a means to track their progress using GPS coordinates on a map. Email served as the primary means of donor communication, supported by frequent postings to social media. With these details decided, we just needed to designate a charity. It was then that I recalled a cover story I had placed for CCAH on its work on behalf of City of Hope. Sitting in on the various interviews I found myself impressed both by City of Hope and its fundraising staff. I learned that beyond multichannel direct marketing, CCAH had helped City of Hope develop a peer-to-peer fundraising platform – ourHope – complete with a “how to” video and simple tips to run a successful fundraiser. I placed City of Hope among the charitable institutions recommended for QuestaWeb’s consideration. When QuestaWeb selected City of Hope, everything else seemed to fall into place. 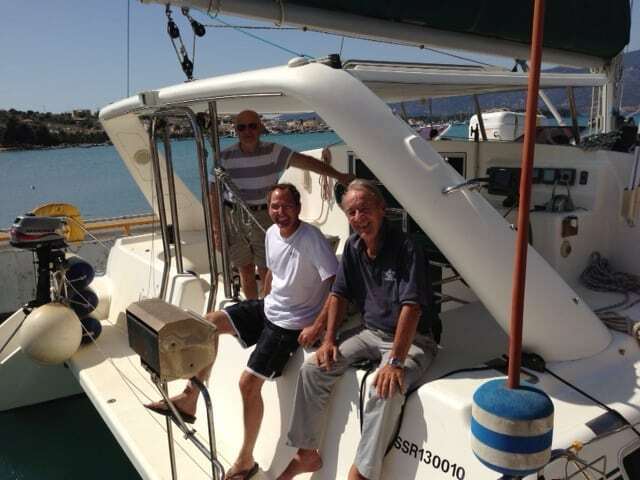 The “QuestaWeb Sails for Pancreatic Cancer” fundraiser was born. We drafted the “My Story” content for the ourHope fundraiser page and created a series of “ask” emails. CCAH’s Vice President of Digital immediately volunteered to discuss strategy with us and review our content from a digital fundraiser’s perspective. She even reached out to the Assistant Director of Development at City of Hope and introduced her to our effort. The relationship thus formed proved beneficial on more than one occasion. Approximately seven weeks later, the QuestaWeb crew landed in Delaware City, Delaware. At the time of their arrival, our campaign had exceeded the $25,000 goal and was just over $31,200. We had posted three videos to YouTube, weekly items on LinkedIn, over 80 updates each to our fundraising page and Facebook, tweeted over 30 times and sent out two rounds of emails to nearly 10,000 people each time. We developed followings on our social media platforms and found frequent expressions of good wishes extended. It was an exciting time watching our fundraiser unfold and blossom into a success! Serendipity is a wonderful thing. Two DPR clients that have never met each other were united for a time in pursuit of a higher purpose. One embraced the other’s client and fundraising platform, while the other willingly gave pro bono advice without a second’s hesitation and helped cement a personal relationship. And, a PR account team took on a nontraditional role with absolutely no time to spare and delivered the exact results the client desired. I would call the effort a resounding success. Most important, the quest to cure pancreatic cancer obtained much-needed funds and is that much closer to being realized. If you’d like to retrace QuestaWeb’s Sail for Pancreatic Cancer Cure, please visit Facebook, LinkedIn, Twitter and YouTube to see our updates, photos and videos. Better still, if you’d like to contribute to our cause, please visit our fundraiser page. Thank you in advance!